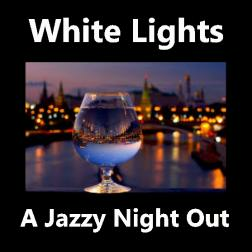 This album is a night out on the town, hitting a few different jazz clubs. I generated it in tribute to one of the things I admire so much about the Wikiloop community. That is, the abundance of talent that is available worldwide to bring together and collaborate on various forms and styles of music. Jazz, latin-jazz, and fusion are very special to me, so I put together a Jazzy night out on the town for your enjoyment. Special thanks to all the Wikiloopers who participated...cheers! WhiteDrum55 can play all the styles effortlessly, but it is here that he seems to be at home the most, showing that he has the full vocabulary of jazz drumming, and knows exactly how to use it.